I have four of the Louis Ghost chair in clear polycarbonate, used it as dining chairs. The wife and I choose clear so that it gives an illusion of space, that was what the guy at the store said. The chair uses a rubber/silicon stopper as glides on the its's legs. As expected in this harsh humid weather, the rubber glide began to perish. Bits and pieces started to fall out from the original rubber glide. It is quite unfortunate that Kartell would use such material on its chair. Maybe it did not consider how heat and humidity would affect its material. 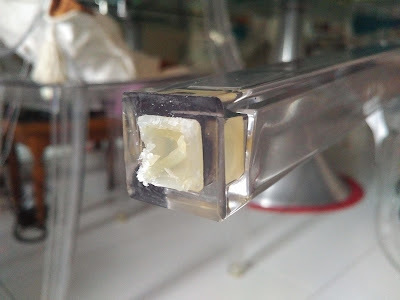 Luckily, the whole polycarbonate material is still in good condition. Searching online, I could not find any resources on getting replacements. 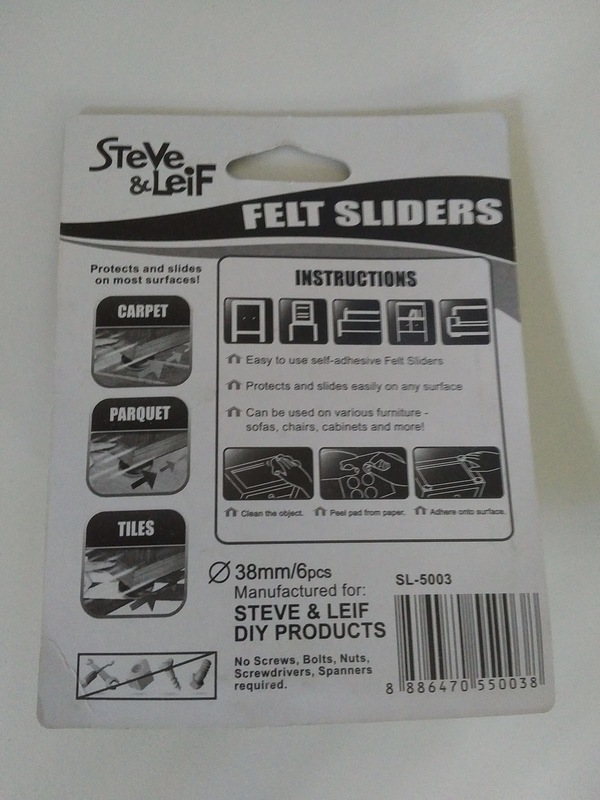 I have read about owners placing socks over the crumbing rubber glides. But it is very ugly. The design of the chair is very nice but you do not want to mar its design by putting 2 pairs of socks over the chair's legs. I bought the Steve and Leif Felt Sliders from the local DIY store to see if it is a suitable replacement for the chairs. For me, felt is much better than rubber as it slides with no resistance. 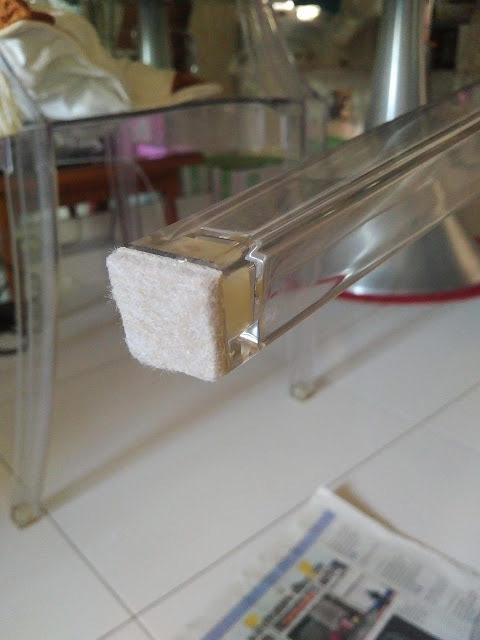 It has an adhesive at the back, which means I can remove and easily replace it. The ones that I bought was a diameter of 38mm. There were a lot of trial and error in getting the right dimension of the leg end. But I find the following to be the easiest. I would need to remove the old rubber glides. 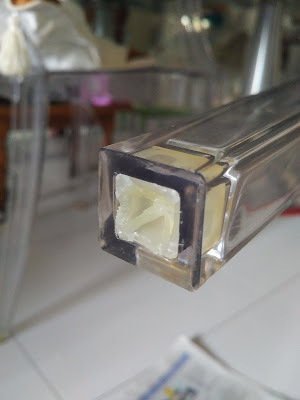 I cut off the protruding pieces with a sharp penknife, making sure it is flush with the polycarbonate edges. However, I leave the main part within the leg. I did not remove this part so that it does not become hollow inside the chair. Removing the edges with a sharp penknife. Making sure it is flush with the edges. After I have removed any stray strands and cleaned it, I made an imprint of the leg's end. 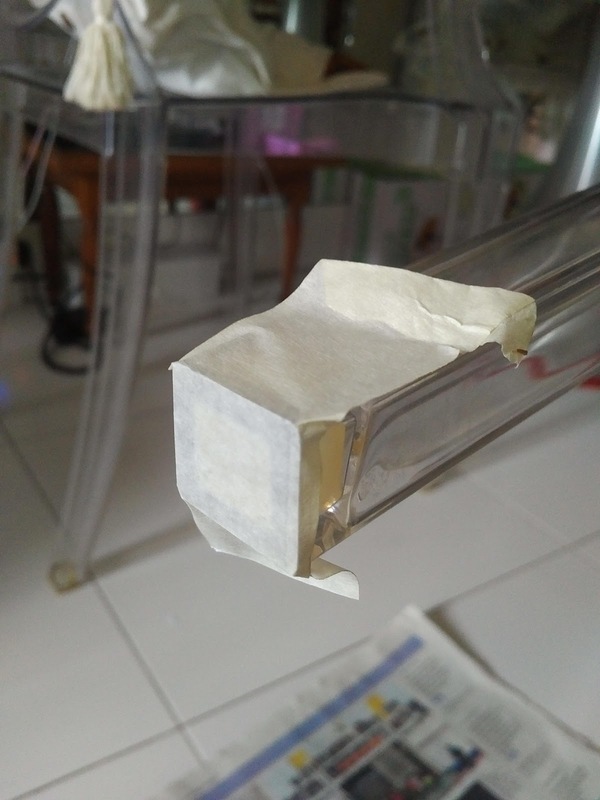 I used a masking tape. 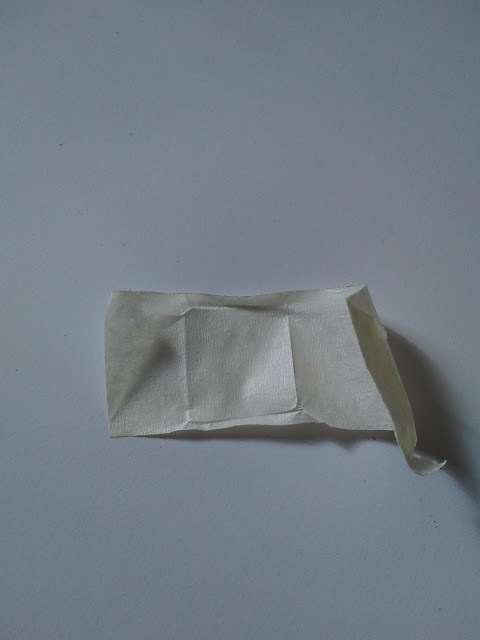 Using a masking tape to make an imprint of the dimension of the leg's end. Removing the masking tape, I cut the edges and the excess. an imprint gives you a better image of it. Next, I will place the masking tape over the felt adhesive side. With the masking tape over the felt. Cut off the excess edges. 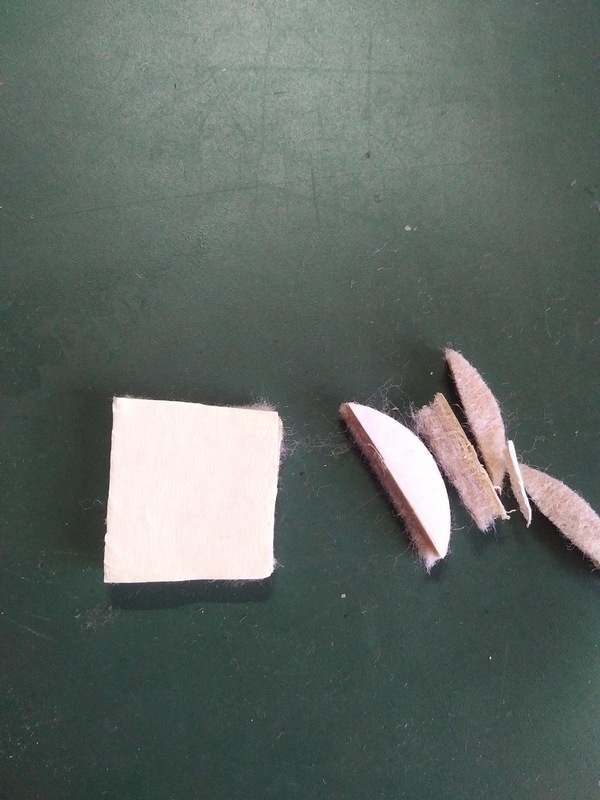 Edges are cut off with a sharp penknife. 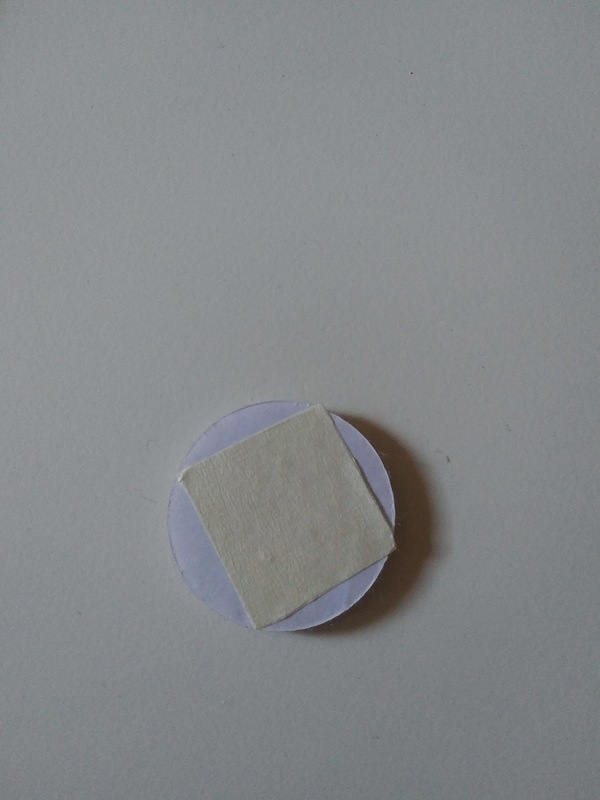 With the felt slider cut into shape, I remove the adhesive paper and stick it to the edge. Making sure that the tapered sides are correct. 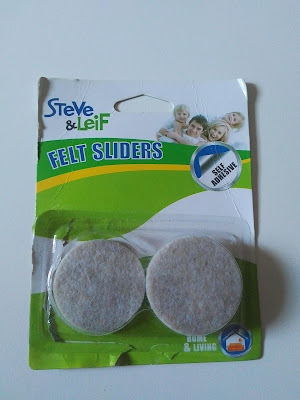 I have replaced all 4 rubber glides with the felt ones for this particular chair. It is much quieter and it slides in and out faster. The most important part is, I do not need to buy actual replacements from Kartell. The colour of the felt does not affect the overall nature of the clear polycarbonate Kartell chair.